On my recent holiday to the Eastern states of Australia, I decided to ask a friend of mine to introduce some friends with sweet rides to allow me to shoot and while a few replied, I only managed to meet up with Oliver and Alfred. Two S chasis cars that have been nicely stanced. 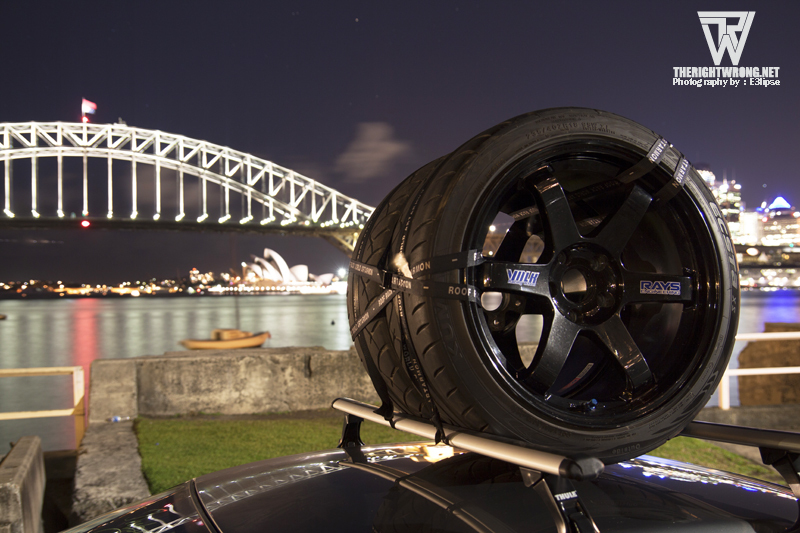 Oliver picked me from my hotel in Sydney’s CBD and the first thing I noticed was definitely his Thule roof racks with a pair of Volks Racing wheels on it. 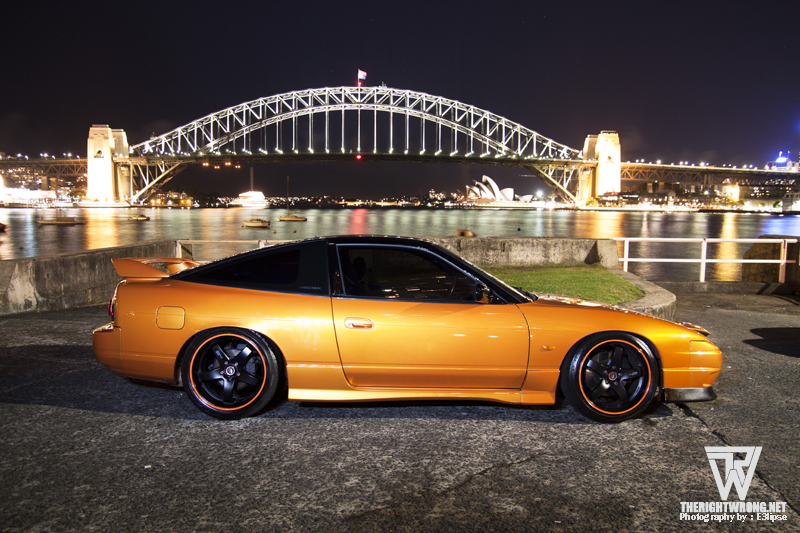 As he puts it, he did it because he has seen it on other cars but never on a Nissan S15. Proceeding on to the location, I requested for a view of the renowned Sydney Harbour Bridge and the Opera House and my request cannot get any better. 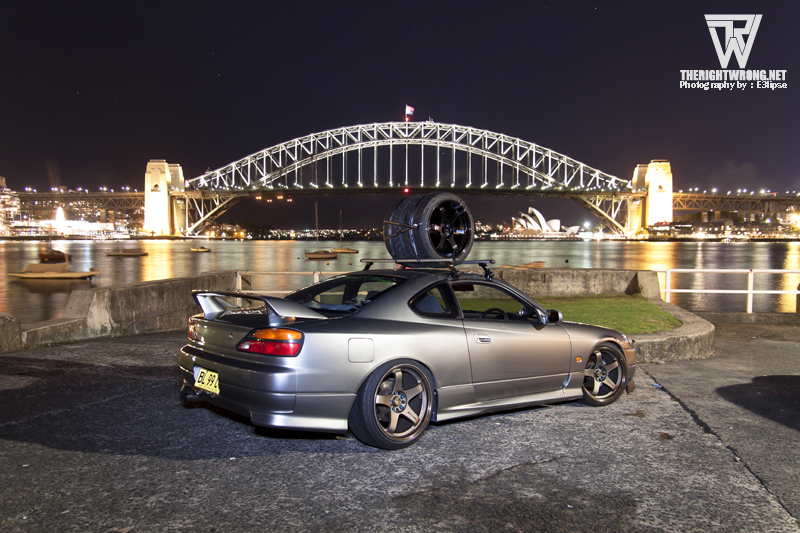 Oliver drives a rare Autech S15, a 150kW high compression SR20DE engine. Natural aspirated you say? It looks and sounds solid and my photos will not do either cars justice. In Australia (apart from Western Australia at least) a Probationary driver (P Plater) is not allowed to drive a turbocharged car or a turbocharged car with a power to weight ratio of under 130kW per tonne which must be stated by the builder on the build plate. 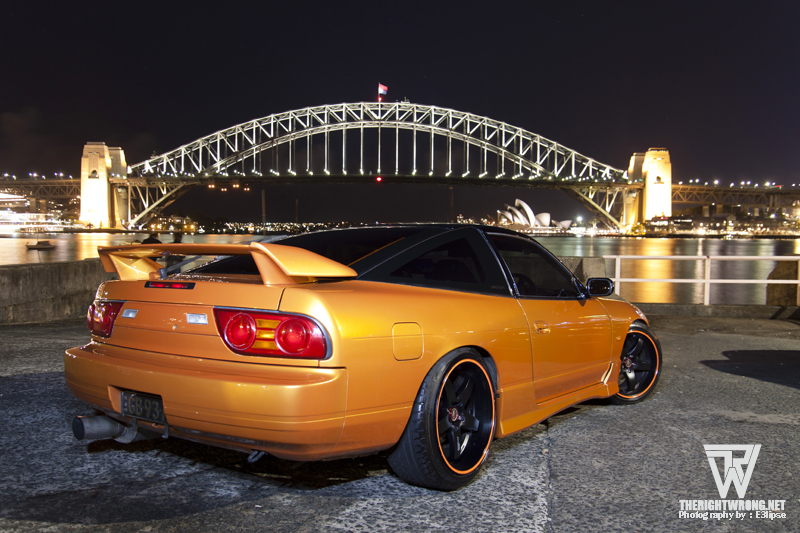 Alfred drives a S13 180SX in a brilliant orange. 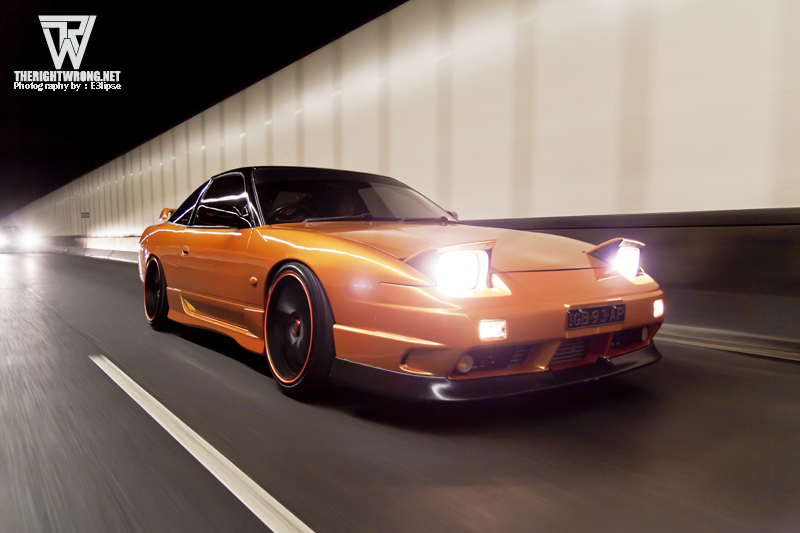 A week after the shoot ended, he has decided to order a set of Team Orange Enkeis from Japan so we hope to be able to see some updated photos of his ride soon. 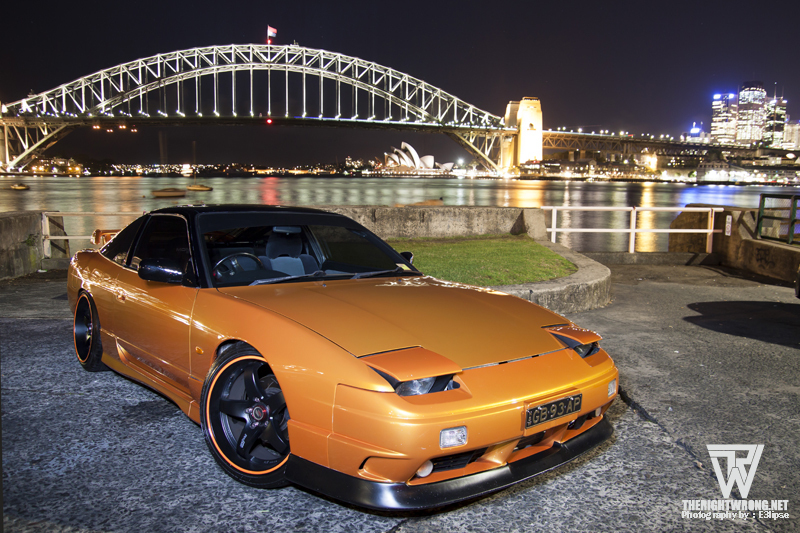 Alfred decided to get the 180SX because of his love for drifting, picking it over the WRX or Evos that are just as popular among enthusiasts and coupled with the fact that he has lived in Singapore, the 180SX is nearly extinct no thanks to the COE system. 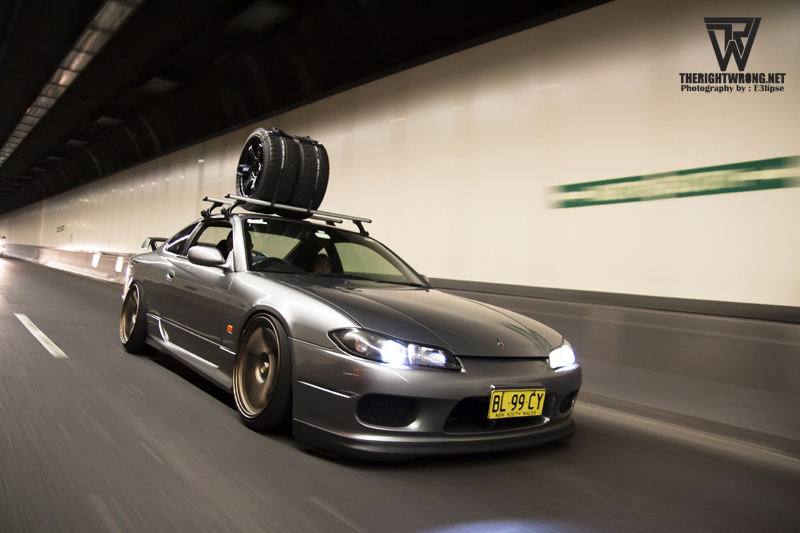 He didn’t fancy the WRXs and Evos too much because they are cars that are common in Singapore. He wanted a different driving experience that he couldn’t get in Singapore. My apologies for the short feature because I didn’t manage to get very much photos of these two cars. 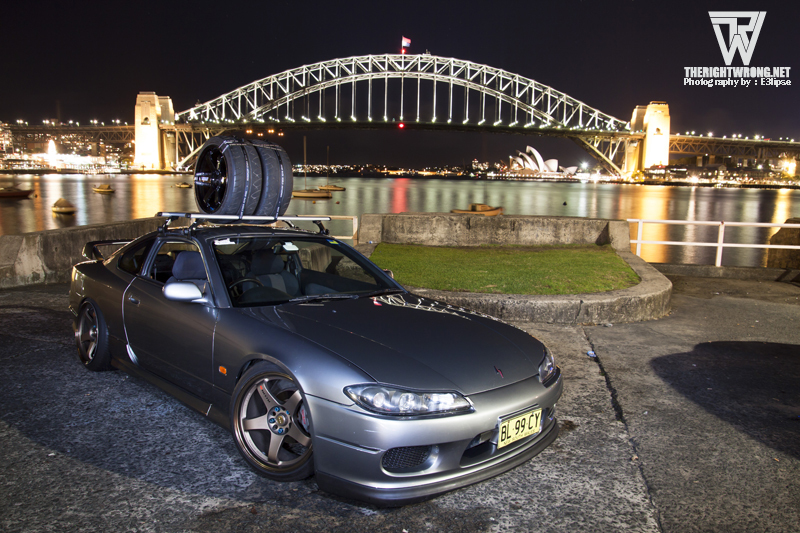 You will be seeing them again however when our editor Ben heads over to World Time Attack in 5 days time! Oliver’s car will be there on display at the Show and shine event so it will definitely not be the last time you see his car!